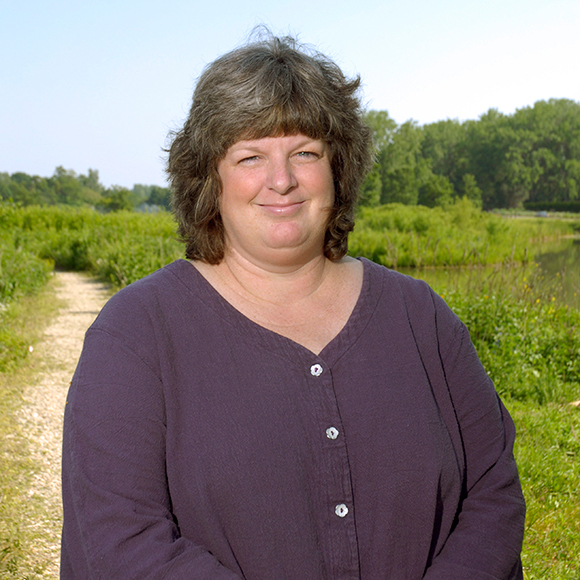 Dr. Kay Havens is the Medard and Elizabeth Welch Director of Plant Science and Conservation at the Garden. 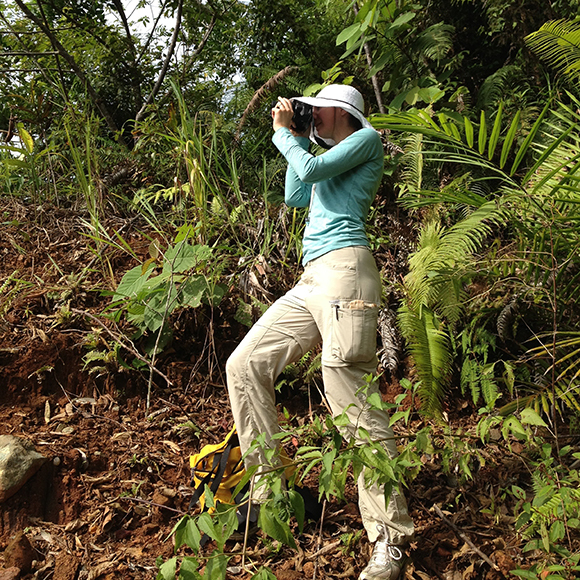 Her research interests include reproductive ecology and conservation of plant species. The number of women in science is pretty dismal. Despite earning about half the doctorates in science, only 21 percent of full science professors in the United States are women,* but I feel very fortunate to work at an institution committed to inclusiveness and diversity. 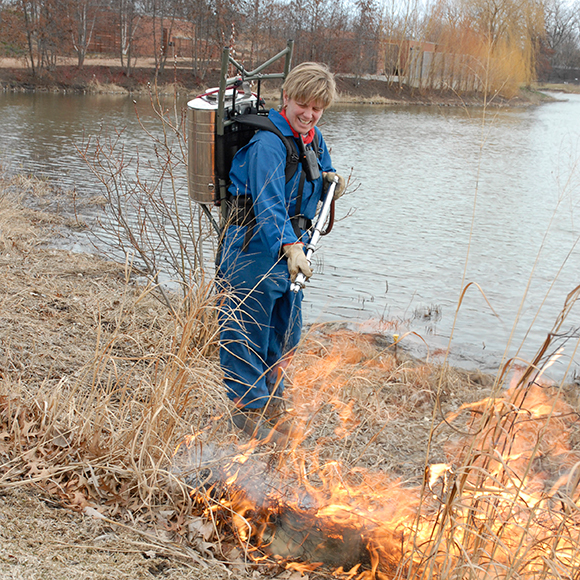 At the Chicago Botanic Garden, 25 of our 47 scientific staff are women; our graduate student body is 61 percent female. Still, implicit gender biases persist in science, resulting in fewer women in top positions, along with women earning less pay, winning fewer grants, and publishing fewer papers. This comes at a time when we are faced with numerous grand challenges in science and need a diversity of approaches to tackle those challenges. 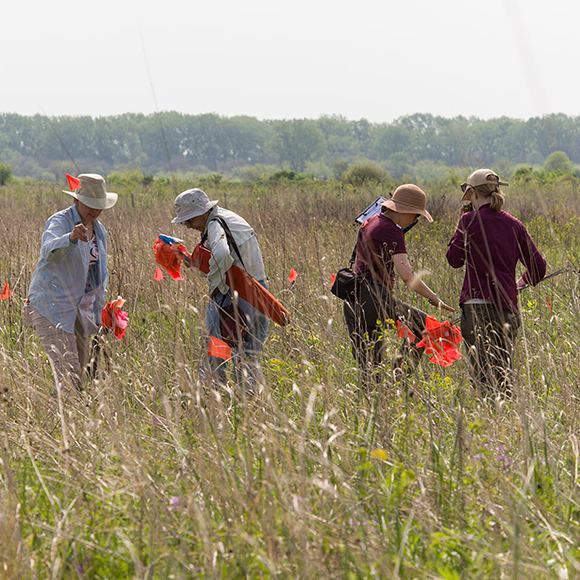 In the Chicago Botanic Garden’s science program, we are conducting research on how human activities are affecting plants through climate change, habitat fragmentation, introduction of invasive species, pollinator loss, pollution, and more. 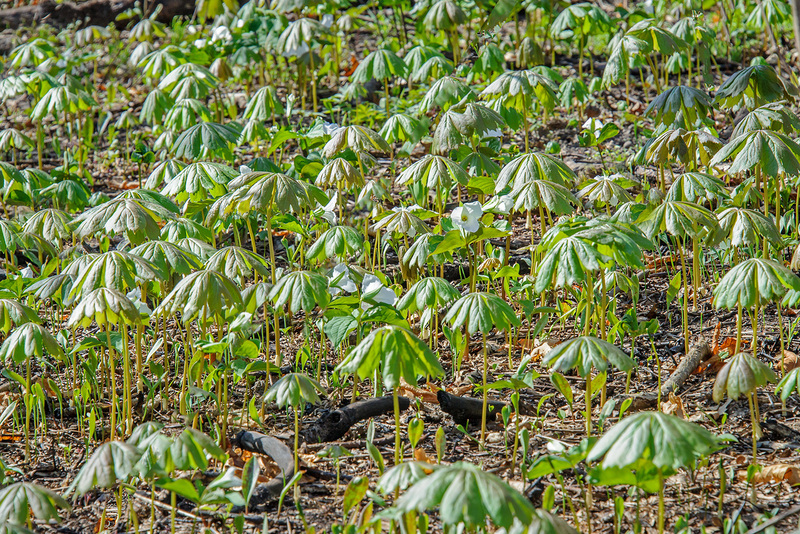 These threats to plants are unlikely to diminish in the foreseeable future, and we are finding ways to conserve plants in changing and challenging environments. We are working hard to protect the plants and plant communities upon which we all depend. We are also working hard to create a pipeline into science for all—especially traditionally under-represented groups—through our Science Career Continuum, because diversity of plants and diversity of scientists are both good things. 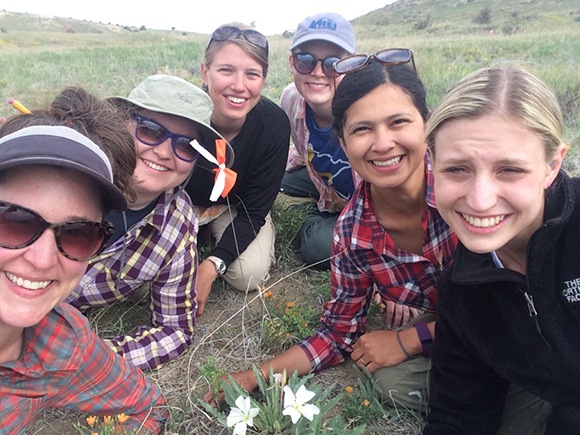 Left to right: Krissa Skogen, Ph.D., is studying hawkmoth pollination with Victoria Luizzi (Amherst College Student, NSF REU Student, Summer 2016), Emily Lewis (research assistant), Andrea Gruver (research assistant), Tania Jogesh (postdoc), and Kat Andrews (PBC M.S. student). 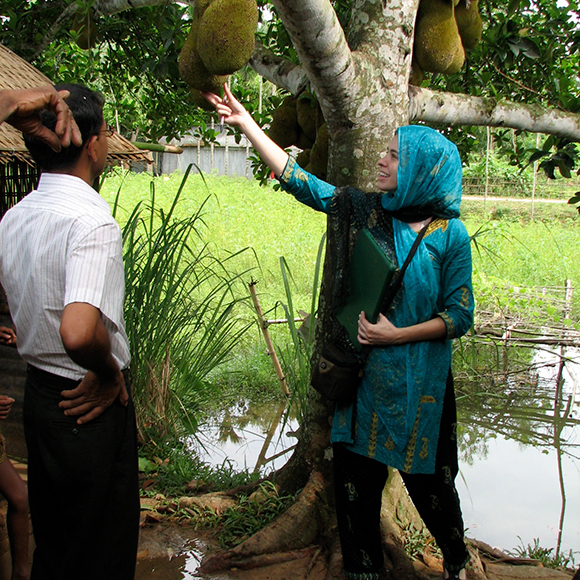 Dr. Skogen is a conservation scientist and manager of the Conservation and Land Management Internship Program. 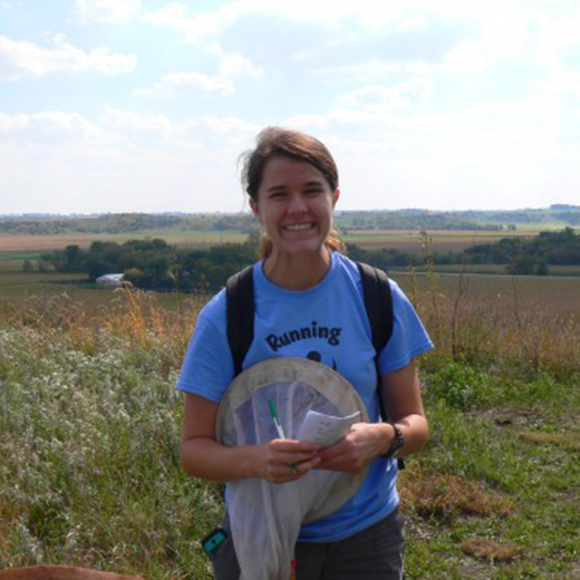 Lauren Umek studies how invasive species change plant communities and soil properties in the Chicago region and how this can improve restoration methods. Nyree Zerega studies evolution/genomics in underutilized tropical fruit trees and their wild relatives to promote and conserve food diversity. Botanist, seed conservationist, and geographer Emily Yates has conserved thousands of seeds to protect the native tallgrass prairie ecosystem of the Midwest. Ph.D. candidate Colby Witherup studies plant DNA, looking for signs of evolution in genes that control sexual reproduction. Evelyn Williams, Ph.D., (left, with Adrienne Basey) traveled to Guadalupe Nation Park in Texas to study the shrub Burgess’ scalebroom. 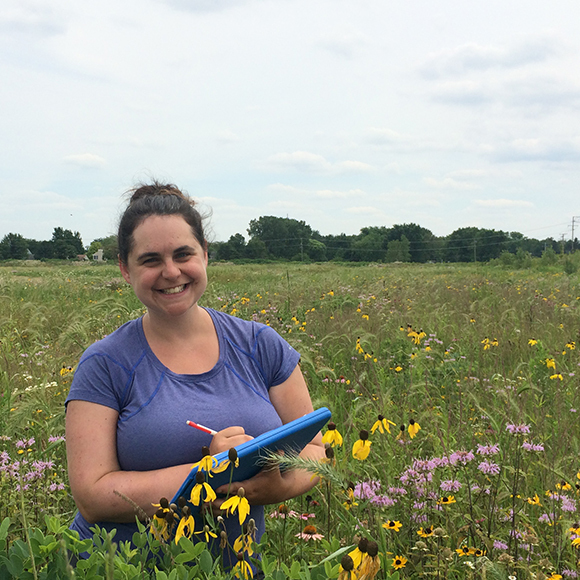 Amy Waananen studies populations of purple coneflower (Echinacea angustifolia) in western Minnesota as a research assistant for The Echinacea Project, a long-term ecological study that began in 1995. 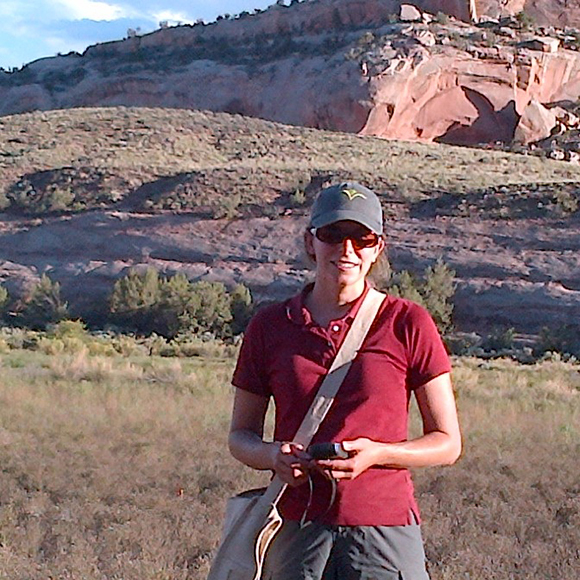 Mary Patterson studies restoration, invasive species, and fire ecology with a focus in the Western United States. Joan O’Shaughnessy manages the Dixon Prairie at the Garden. 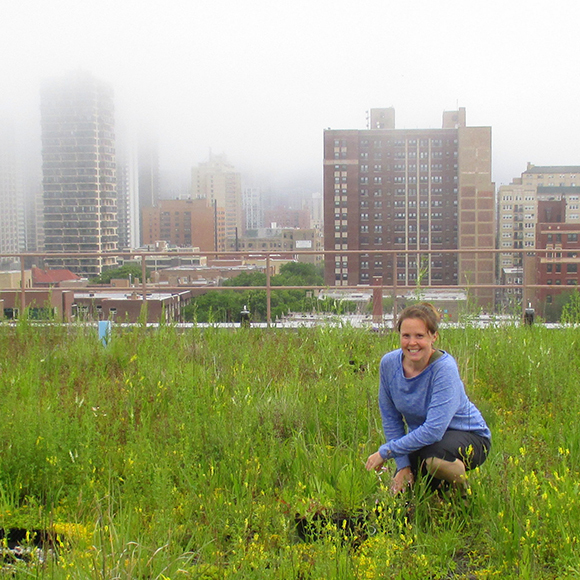 Kelly Ksiazek-Mikenas studies how green roofs can provide habitat for native plant species. 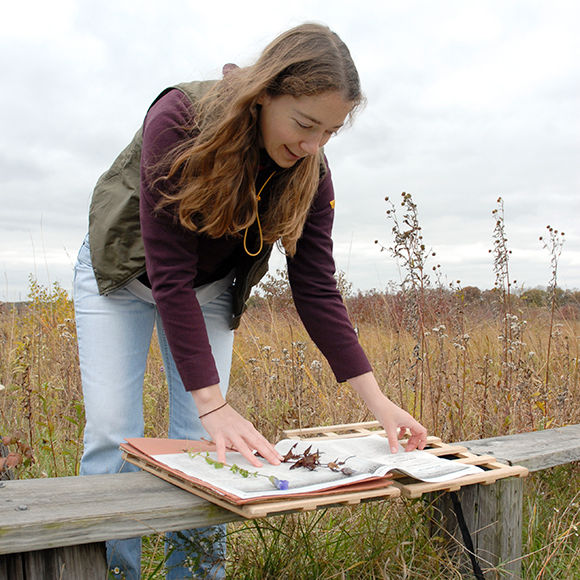 Andrea Kramer, Ph.D., conducts research on native plants to support ecological restoration that sustains people, wildlife, and the planet. 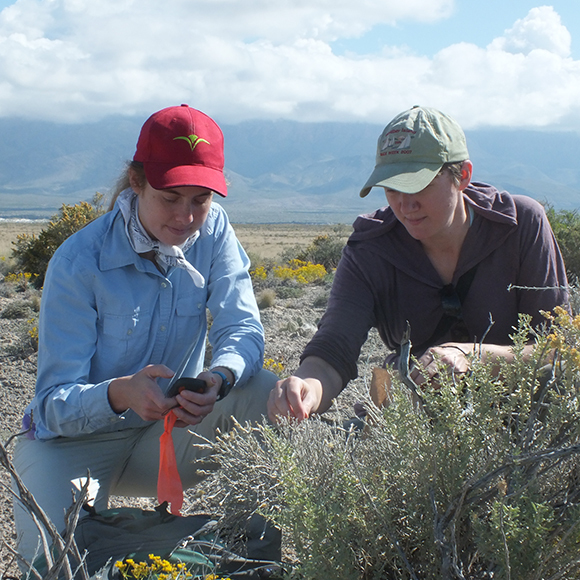 Rachel Goad (far right) is a botanist with a background in restoration ecology and a keen interest in native plant conservation. 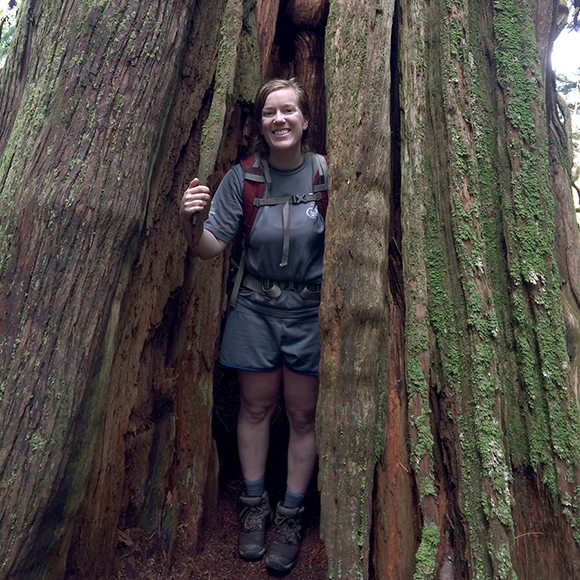 Louise Egerton-Warburton, Ph.D., does work examining soil fungal diversity and functioning and its role in ecosystem processes. Research assistant Susan Deans uses neutral genetic markers to examine how well gardens and conservation collections capture the remaining wild genetic diversity of threatened Hawaiian plant species. 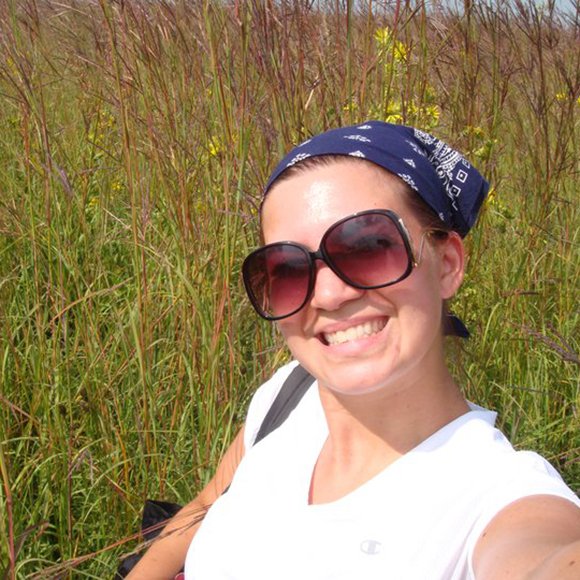 Ph.D. candidate Becky Barak studies plant diversity in restored tallgrass prairies. 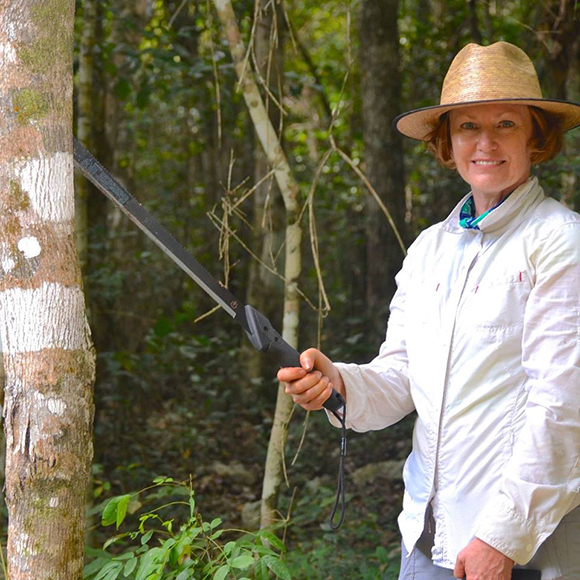 Kay Havens, Ph.D., studies rare plant conservation, restoration, pollination and plant responses to climate change. 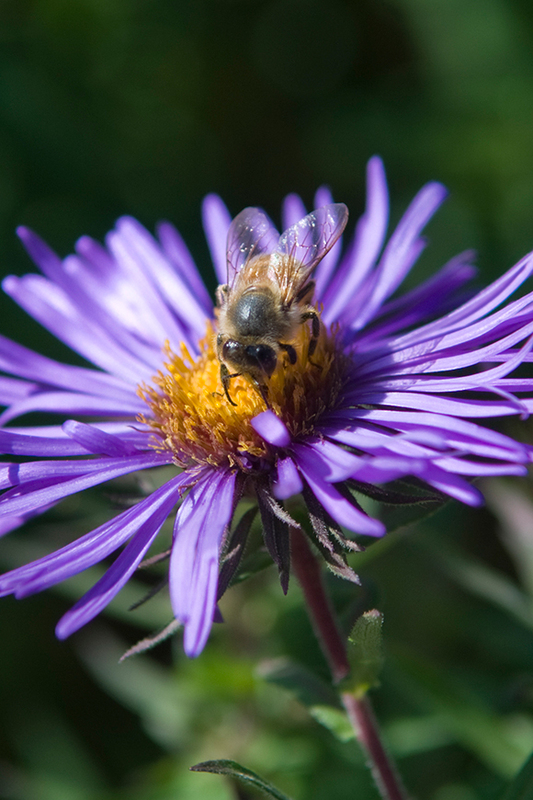 In recent years, the plight of pollinators has gotten a lot of press, and rightly so. I spoke with the editorial board of the Chicago Tribune when they were investigating the well-intentioned distribution by General Mills of “one size fits all” wildflower seed packets to combat the declining populations of bees and other pollinators. The decline of pollinator populations is well documented around the globe. Much attention has focused on honeybees, which are extremely important agricultural pollinators, but many of our native bees are vastly more imperiled. For example, the rusty patched bumblebee, native to the Upper Midwest, was just listed this month by the U.S. Fish and Wildlife Service as endangered. 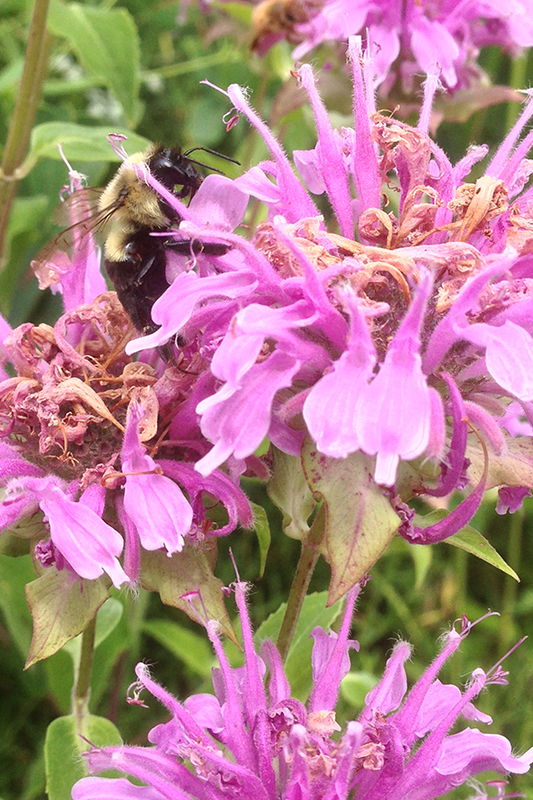 A rusty-patched bumblebee working on Culver’s root in the University of Wisconsin–Madison arboretum. Photo by Susan Day, UW-Madison Arboretum. Many people are concerned about these losses and asking what they can do to help support bees, butterflies, and other pollinators. 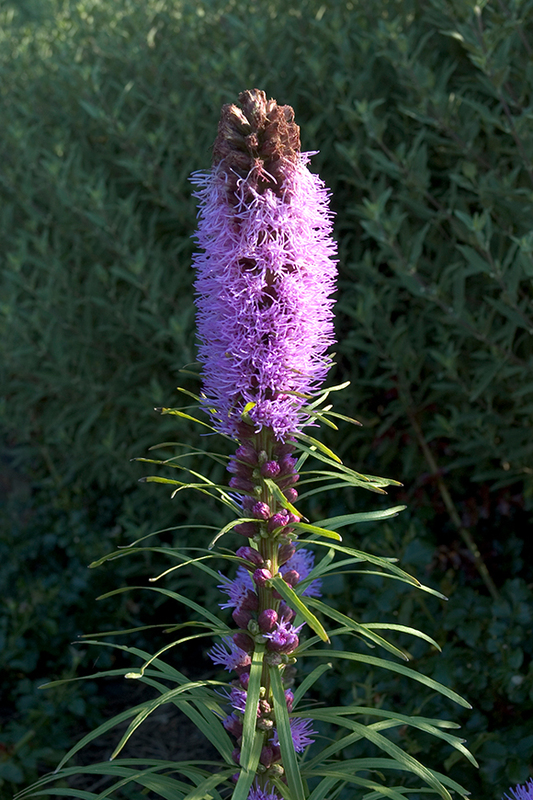 For a start, it’s more beneficial to pollinators to plant species that are native to your region, and perennial. Here are five more pollinator-friendly actions that everyone can take. Provide resources: For pollinators, this means flowering plants with pollen and/or nectar. Diversity is key, as flowers of different colors and shapes will attract different pollinators. 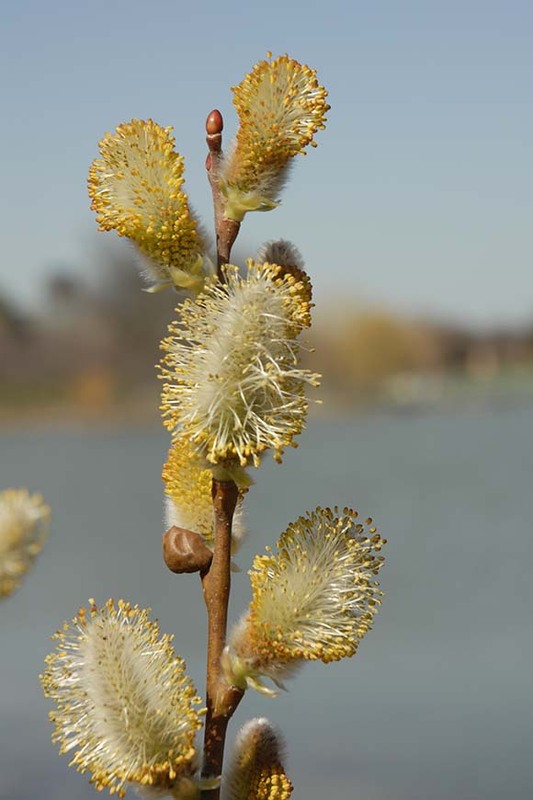 Be sure to provide resources across the entire growing season, so include species that bloom in spring, summer, and fall. 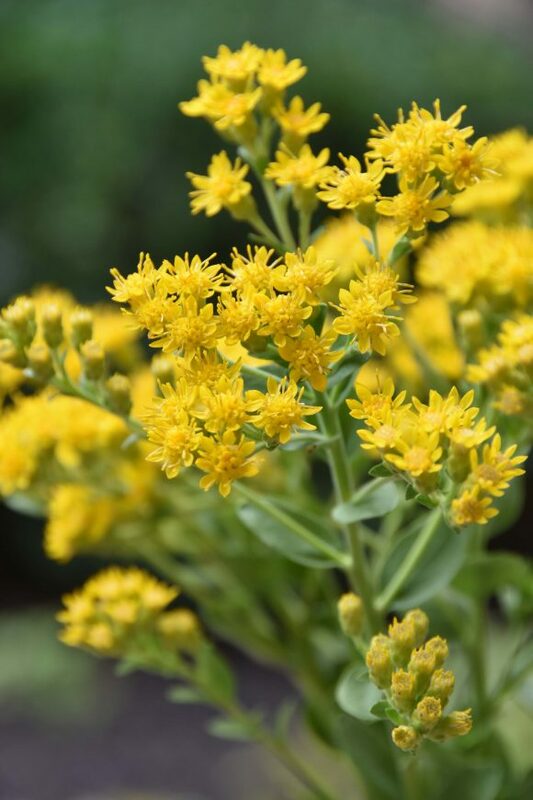 Regional native plants are the species our local pollinators evolved with, so they recognize and use them…and you don’t have to worry that they will become invasive! 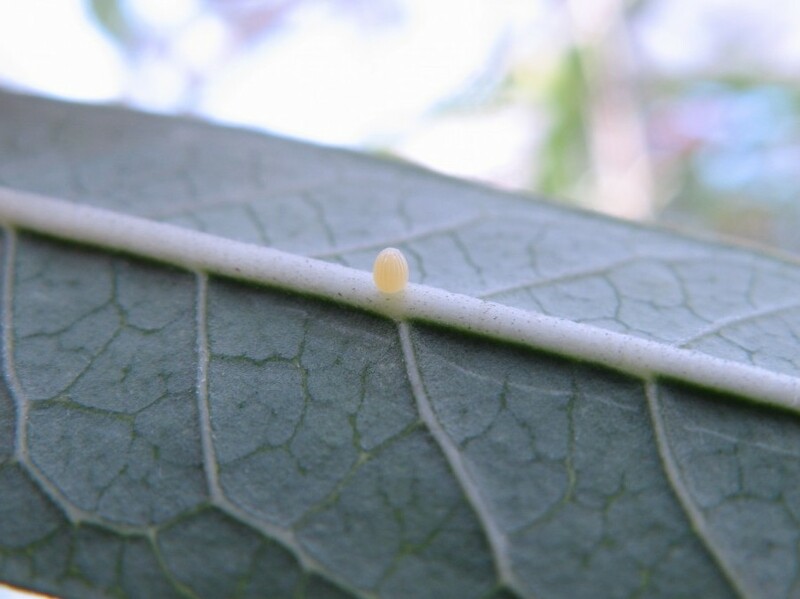 Provide host plants: The larvae of many butterflies and moths have particular species that they need to eat to develop, as monarchs need milkweed. Providing host plants will ensure that the next generation of butterflies can mature. Just be willing to accept hungry caterpillars eating those plants. Provide nesting sites: Many insects like to nest in bare ground, hollow stems, or leaf litter. Allowing your yard to be a little less tidy can benefit insects. Many attractive bee houses are available for sale, and do-it-yourself instructions can be found on the web. Avoid pesticides: Pesticides are designed to kill insects, but sometimes they also kill pollinators unintentionally. Systemic pesticides can persist in plants for long periods of time and are present in all parts of the plant, including nectar and pollen. So if you choose plants for a pollinator garden, make sure they haven’t been treated with systemic pesticides. If possible, make your entire yard pesticide-free. 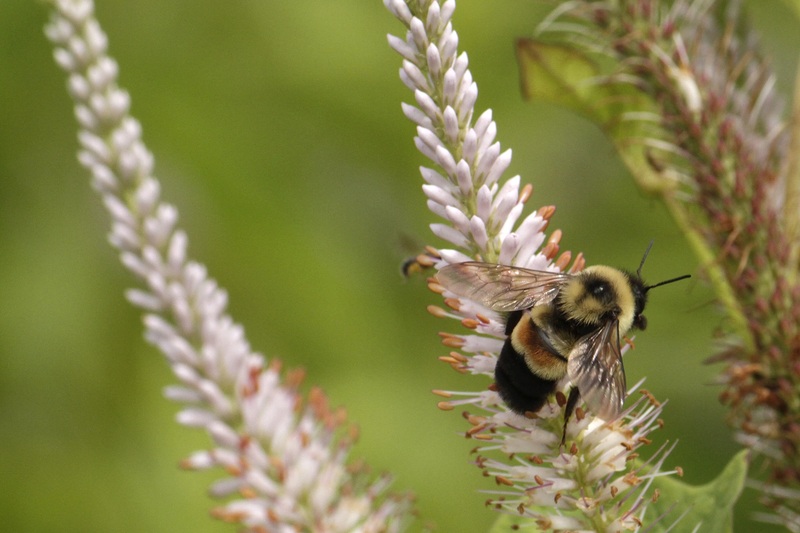 Learn more about pollinators: There are some great resources on the web—including those created by the Pollinator Partnership and the Xerces Society—that can help you do even more for pollinators. 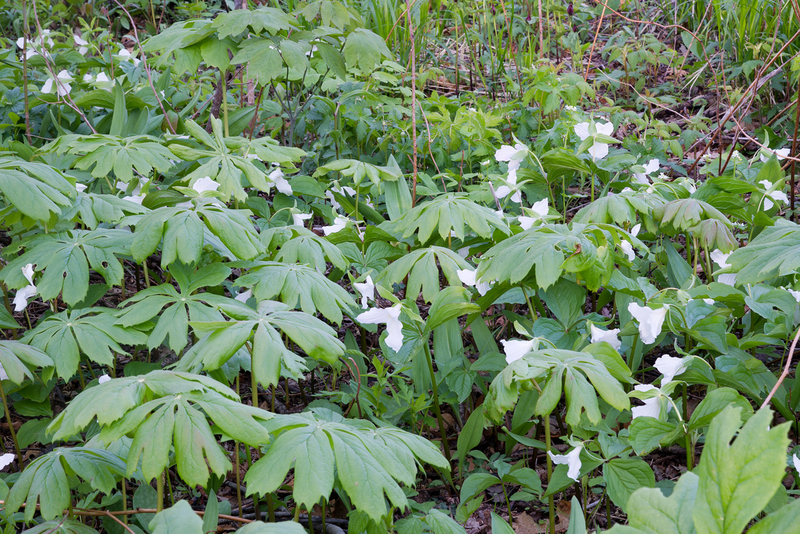 Read more about the science behind this important topic in the Natural Areas Journal article, The Importance of Phenological Diversity in Seed Mixes for Pollinator Restoration by Kayri Havens and Pati Vitt, Chicago Botanic Garden. Botanic gardens are looking at the ways that zoos are trying to save threatened and exceptional species—including whooping cranes, black-footed ferrets, and giants pandas—to see if their approach could be adapted and used to help save rare plant species. Over the past year, the Chicago Botanic Garden has been working with the Brookfield Zoo, Botanic Gardens Conservation International, and other institutions to modify management tools developed for zoo living collections for botanic garden use. Scientists and curators at botanic gardens and zoos both manage populations—of plants and animals, respectively—for conservation purposes. This type of conservation, outside the habitat of the plant or animal, is called “ex situ” (off site) conservation. There is a lot of similarity between the best practices for living collection management at zoos and botanic gardens, but to date, we have not often worked together to adapt tools developed for animals to plants and vice-versa. This may be due, in part, to the fact that plant conservation relies heavily on seed banking. Storing seeds is an effective conservation method for most plant species, and avoids many of the problems associated with growing plants in the garden. 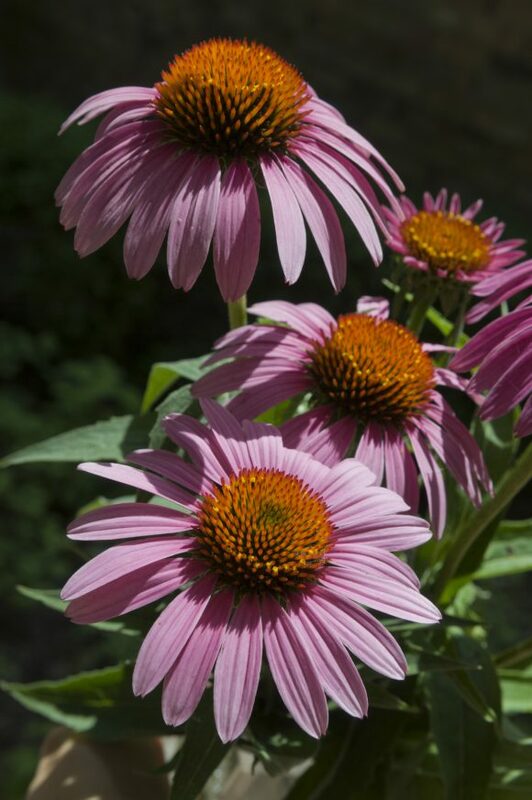 (Living plants may be killed or injured by diseases and pests, may hybridize with other plants in the garden, and over several generations, may change genetically in ways that make them less suited for reintroduction.) However, many plant species are not well-suited for seed banking, either because their seeds are recalcitrant—they cannot be dried and frozen—or because some plants rarely produce seeds. Living collections offer an alternative conservation method for these “exceptional” species. 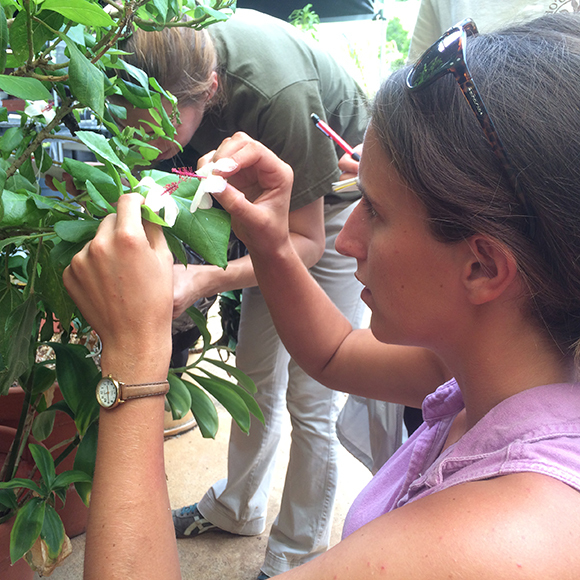 Conservation scientist Dr. Andrea Kramer hand-pollinates a Brighamia insignis specimen. In this recent paper in the American Journal of Botany, we describe an approach that botanic gardens could adopt to improve their management of rare plant species—based on the “studbook” approach zoos use for animals. We hope to test this approach in two rare plants next year: Quercus oglethorpensis (Ogelthorpe oak—found only in the southeastern United States), and Brighamia insignis (Ālula—found only on Kauai in Hawaii). It is clear that zoos and botanic gardens have much to learn from each other, and we hope to work more with our zoo counterparts in the future. Did you know that one in every three bites of food you take required a pollinator visit? Pollination is essential for many of our favorite foods—from almonds to vanilla, and so many fruits and vegetables in between. The decline of pollinators around the world is threatening not only our food supply but also the function of plant communities and ecosystems. Multiple factors play a role in pollinator decline, including land-use changes, pesticide use, climate change, and the spread of invasive species and diseases. The well-documented plight of the iconic monarch butterfly has become emblematic of widespread pollinator decline. Perhaps many of you, like me, have childhood memories of setting out with a butterfly net and a jar with nail holes in the lid. I recall with pleasure catching and admiring monarchs up close until it was time to set them free. I worry that children may not have that simple pleasure much longer. 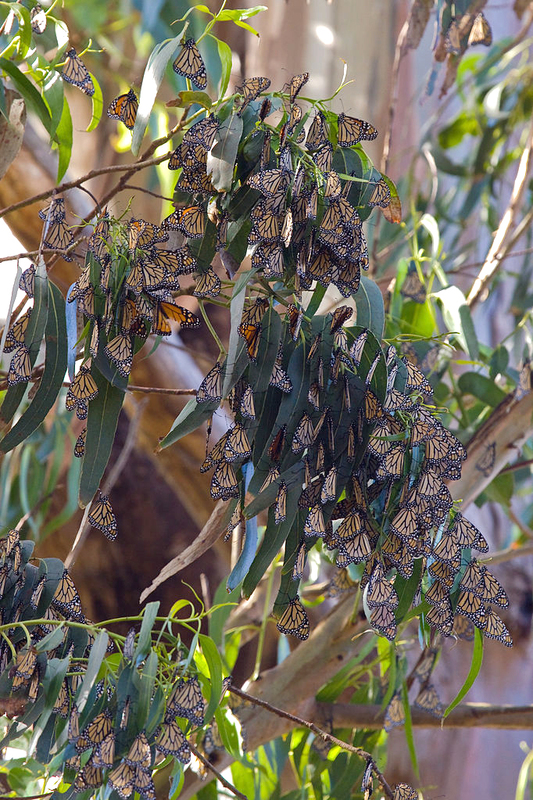 After their previous all-time low population count in 2012–13, monarch numbers dwindled even lower this past winter (2013–14), when monitored in their overwintering location in Mexico. A monarch sips nectar from common milkweed (Asclepias syriaca) on the Dixon Prairie. In the case of the monarch, several factors are likely contributing to its rapid decline. Loss of forested wintering grounds; loss of the milkweeds, which are their larval host plants; severe weather events; and a reduction of nectar plants along their migration routes due to drought have probably all contributed. Three leading monarch experts, Dr. Lincoln Brower, Dr. Chip Taylor, and Dr. Karen Oberhauser, have all cited GMO (genetically modified) crops as a leading factor in the decline. Milkweed (Asclepias sp.) once thrived on the edges of farm fields throughout the Midwest. Modern farming techniques use herbicide-resistant crops coupled with an increased use of herbicides; the native milkweeds are disappearing, and as they go, so do the monarchs. Click here for registration and schedule information. 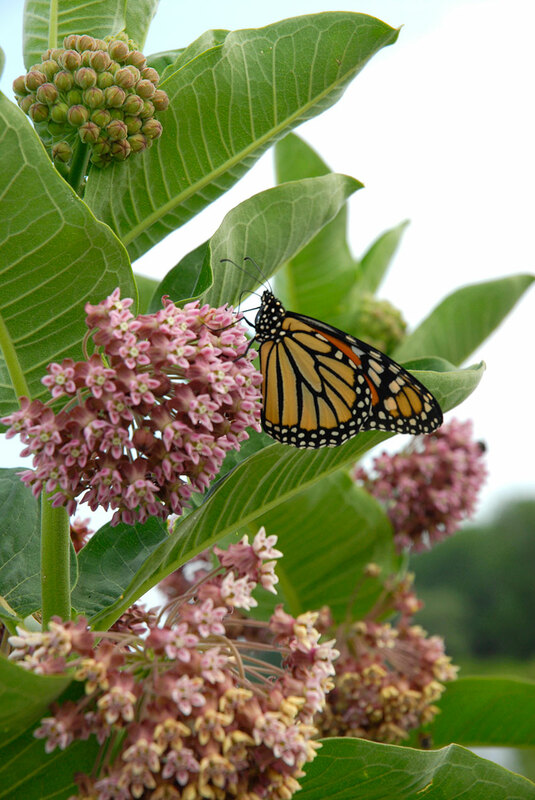 On Friday, June 6, the Chicago Botanic Garden will host a symposium by Make Way for Monarchs: Alliance for Milkweed and Butterfly Recovery (makewayformonarchs.org). Members of this group conduct research on monarch butterfly recovery and promote positive, science-based actions to avert collapse of the milkweed community and the further demise of the monarch migration to Mexico. They aim to promote social engagement in implementing solutions in midwestern landscapes through collaborative conservation. Speakers include Gary Nabhan, Lincoln Brower, Chip Taylor, Karen Oberhauser, Laura Jackson, Doug Taron, and Scott Hoffman Black. They will discuss monarch decline and tangible solutions we all can help implement. Mr. Black will also present a lecture on monarchs at World Environment Day, Saturday, June 7. There are things all of us can do: from planting milkweeds and other native plant species that provide nectar throughout the growing season, to minimizing pesticide use, and to supporting organic farmers. We can also become citizen scientists, reporting monarch observations to programs like Monarch Watch and Journey North, or working with the Monarch Joint Venture. Perhaps, with our help, new generations of children will continue to know the joy of admiring the beautiful monarch butterfly, and then letting it go to continue its amazing migratory journey. Learn more about pollinators at World Environment Day at the Garden on June 7, 2014.